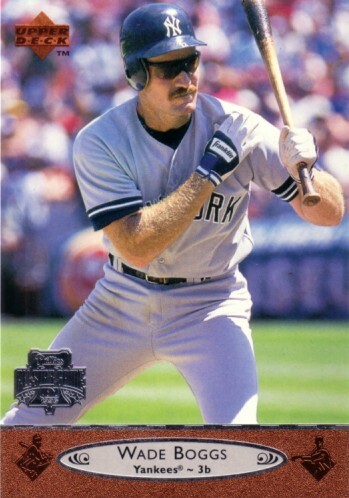 1996 Upper Deck All-Star Game 3 1/2 by 5 inch jumbo card of former New York Yankees star Wade Boggs. NrMt-Mt or better condition. ONLY ONE AVAILABLE FOR SALE.